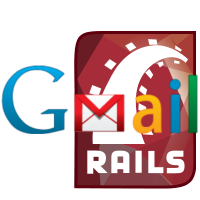 A few weeks ago I have posted a simple step-by-step tutorial about using the GMail server to send emails on Ruby on Rails 2.3. Now I'm going to show the same approach that is being used on the latest version of Rails as of this writing which is 3.2.X. To use GMail or Google's server to enable email sending on your site even on development side. This method should also be applicable even on your development environment aka localhost. First step is to open config/application.rb and add this inside your Application class. With this, we assume that you already have a valid Google email address. You may use google app to customize your google account with your own domain. You may use a different parameter to pass. And that should do the trick for this version of rails.